I am running as a candidate for the LP nomination at the same time that Cynthia McKinney may be running for the Green nomination, with the intent of showing all small parties and the Independents how they can come together now, in 2015, to demand passage of the Electoral Reform Act of 2015 in time to elect a coalition cabinet that opens the floodgates for small party and independent candidates at all levels and especially into Congress. I was briefly a candidate for the Reform Party nomination in 2012, mostly as a learning process, my web site from then is still up, We the People Reform Coalition. I am the foremost proponent for electoral reform, starting with my viral video briefing to Occupy in 2011, and also the foremost proponent for open source everythng that is consistent with the LP move against intellectual property. This entry was posted in Green Party, Independents, Libertarian Party, Non-left/right parties, Third parties, general and tagged Cynthia McKinney, electoral reform, Electoral Reform Act of 2015, occupy movement, Reform Party, Robert David Steele, We the People Reform Coalition on June 16, 2015 by Jed Ziggler. For how long have you been a member of the Libertarian Party? I saw him speak at HOPE. I’ve only seen him address a few issues… I doubt he’s a libertarian. Shows you how dead *that* issue is. Libertarian off and on since mid-1990’s. The Libertarian Party — the third largest in the country — has a choice this year. It can carry on with business as usual, have a platform and elect two people that will have absolutely ZERO chance or going anywhere (less than Bernie and he’s already declared himself out of the running for Independent) OR it can unite with the Greens, embrace the ideas that thousands of us from Occupy and other groups have brought together into an Electoral Reform Act of 2015, and open the doors for the small parties in 2016. Below you blow off electoral reform, you might want to actually understand the eight points. The book is at Amazon (Open Power: Electoral Reform Act of 2015 – Open Source Activist Tool-Kit) and the url for free videos, links and other stuff is http://tinyurl.com/OpenPower. Andy, I will not belabor my plan the way Robert Milnes did, have no fear of that. Either the Libertarians will get it or they will not. I plan to run as an Independent if not nominated as a Libertarian, the fundamental mistake by Bernie Sanders (and the truth teller on his being a sheep dog for Hillary Clinton) is his declaration that he will not run if not selected by the Democrats, something I consider outlandishly impossible — a Sanders-Clinton ticket might win, and would also do to Sanders what Cheney did to Bush — hijack the presidency…and Bernie gets a free heart attack in the process. From where I sit the Libertarian Party, the third largest party in the country, needs to set aside its platform and any selection of a VP this year, and approve a candidate for president who will be free to invite the Green candidate for the presidency to be VP, and vice versa, while getting the whole country to talk about a coalition cabinet that makes sense, and getting the whole country to demand of Rand Paul, Bernie Sanders, Angus King, and Elizabeth Warren specifically, the introduction of the Electoral Reform Act of 2015 in time to enable small party and independent candidates free and equal access and a fair playing field in 2016. My web site, http://bigbatusa.org is available for examination. we cannot win within the rigged game as it stands. We have to draw the line on electoral reform if we are to win in the future. IMHO. I think the ticket here is Steele/Waymire! Sigh. I cannot be helpful if you all cannot take the time to understand the urgency and the logic of electoral reform. I will answer serious questions. Otherwise tuning out. Robert, I think we understand the need for electoral reform just fine. Unfortunately for you, Mr. Milnes has made the idea of a Libertarian/Green alliance a bit of a joke, but I’ll try to disregard that. What makes you think the Greens would have anything to do with us? Jill Stein was rather unfriendly in May 2014 when I mentioned I was from the LP. The Libertarian Party — the third largest in the country — has a choice this year. It can carry on with business as usual, have a platform and elect two people that will have absolutely ZERO chance or going anywhere (less than Bernie and he’s already declared himself out of the running for Independent) OR it can unite with the Greens, embrace the ideas that thousands of us from Occupy and other groups have brought together into an Electoral Reform Act of 2015, and open the doors for the small parties in 2016. I choose choice A: stick with the Libertarian Party platform and don’t jettison our principles for political expediency. From where I sit the Libertarian Party platform is just fine. I have no intention of “setting it aside” to support a cult of personality and a fusion ticket with our ideological opponents — especially where there is no cult, no personality, and our ideological opponents would find the notion just as ridiculous as we do. The whole point of the Libertarian Party presidential campaign is to build the party and spread the libertarian message — a Libertarian is not going to get elected President in 2016. When a candidate comes to the party with hat in hand and suggests we abandon the libertarian message and in so doing drive away libertarian activists, I treat that candidate with all the respect he deserves: none. Agree that Milnes did damage. I also agree that Jill Stein is unfriendly, when I met her and introduced myself as a Reform Party candidate, she was like a deer in the headlights. Greens and Libertarians are doing some good in places like Kentucky, and seeing the fruits of collaboration. I support Cynthia McKinney as the Green candidate I post prefer for their nomination. She and I are slated to discuss electoral reform with Joan Blades. Strategy demands calculated compromises. The value proposition I am offering the Libertarian Party is clear: accept a coalition in 2015-2016 for the sake of destroying the two-party tyranny and restoring electoral integrity to our process, this will make possible the election of perhaps 3-10 times more Libertarians to Congress than might otherwise be achievable, and end the two-party rigging of the elections system. I am running to educate and offer that choice. And one clarification: when I said I would run as an Independent if not nominated, I meant I would join a larger coalition — Angus King – Cynthia McKinney comes to mind — if invited to do so, in a Cabinet capacity. This is not about abandoning the Libertarian message, this is about destroying the obstacles to Libertarians getting elected. There are eight obstacles, all eight would be removed by the Electoral Reform Act of 2015, if we all came together to demand that. Thank you for the opportunity to respond and elaborate. The biggest issue for me remains foreign policy. If you were President, can you tell us a bit of how you would approach the very important topic of relationships with other countries? First, I think Ron Paul’s focus on peace, friendship, and commerce is the right one. 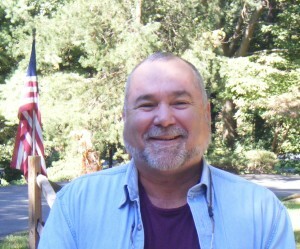 Second, as a former Marine Corps infantry officer and also a former spy (clandestine case officer for the Central Intelligence Agency), I am utterly ashamed of all that has been done in our name and at our expense on the basis of lies and in favor of the 1% — the US Government is “best pals” with 42 of the 44 dictators on the planet, subsidizing the repression of those publics. I would educate the public on the need to close all of our foreign bases without exception, cut the Department of Defense budget by 30% (waste), while creating a 450 ship Navy, a long-haul Air Force, and an air-mobile Army, all based at home where our troops should be spending time with their families — and money in stores — when not in a legitimately declared constitution war. Third, the essence of my vision is an honest Congress that restores Article 1 checks and balances, breaking the two party tyranny’s rigged game, publishing all proposed legislation online with no secret provision and in advance, and then making the most use possible of national ballots and constitutent instruction to their represenatives. I favor an Article V Constitutional Convention and repeal of the 17th amendment, restoring the appointment of Senators as representatives of the States. The electoral reform act has eight points one of which ends gerrymandering. Foreign policy needs to be based on ethical evidence-based decision-support (intelligence) and the focus of foreign policy should be to create peace and prosperity abroad (keep the illegal immigants “over there”) and at home (keep jobs here). Libertarians and Greens make more effective allies for electoral reform and other areas of agreement (which they do all the time), by running the strongest slate of candidates they can, getting as many votes as they can, and growing their respective parties into more credible and substantial forces in American politics. None of those things to happen with some cobbled-together fusion ticket that can’t earn votes from either party’s base. You haven’t even made clear how it would work from a ballot access perspective (to make a long story short, it wouldn’t). Take the “Libertarian” out of Libertarian Party, and you don’t have the third-largest party in America anymore. You would have the burned-out remnant of what used to be the the third-largest party in America, and be no closer to accomplishing any of the goals or purposes for which the LP exists. Thank you for your explanation of your foreign policy views. I’ll have to explore your third point a bit to see if I completely agree, but I certainly agree with points 1 & 2. The respective platforms for those six parties listed are simply too different to ever come together. I just don’t see it happening ever. The suggestion of a fusion candidacy is political suicide. The LP cannot do this. No party can do this, if they expect to survive. Sounds like a better dressed Milnes to me. If he even gets a single vote at the convention I will be surprised. Imagine a tsunami is coming. There is one truck with four tires, called Green, Libertarian, Working Families, and Independent. All four tires are off the truck. All four tires need to be put on the truck so all can escape the tsunami. That’s where we are at. I totally get that the platforms are different, but right now that is also moot. What troubles me is that no one seems to understand that the fusion is ONLY to achieve electoral reform so as to be able to break the back of the two party tyranny and elect a diversity of small party members to an honest Congress no longer rigged by the two party tyranny. The fusion is limited to one year — 2015 — and the issue of forcing electoral reform. All those whose ballot access is made possible by the Electoral Reform Act are in no way committed to any kind of fusion — they get in to Congress and fight for their principles. I meant to say earlier that I consider the imperial presidency an impeachable presidency. The president should educate and administer and propose — Congress is supposed to make the policy — and I abhor all the regulations, most of those need to go. Not going to belabor the point — this is not about fusion, this about hanging together to destroy the two party tyranny after which the Libertarians have something they do not have now and will not have for another eight years unless they agree to a strategic gambit: executive fusion to unite the disenfranchised to force through electoral reform, then every party for itself, on a level playing field, in 2016. Doing what I can as God gives me the light, if the message is not well received, so be it. Imagine a tsunami is coming. There is one truck with four tires, called Green, Libertarian, Working Families, and Independent. All four tires are off the truck. All four tires need to be put on the truck so all can escape the tsunami. Except the tires are not the same size, one is flat, and one is just a pile of rubber waiting to be put together and molded into a tire. Each tire is completely different — and each tire has the same purpose: to move the democracy truck forward. No worries, I will leave it to the larger body of Libertarians to decide whether they want a shot at actually having a goodly number of members in Congress. It is not possible to win under a rigged game. You have to unrig the game. I wish you the best of luck, Mr. Steele. Unfortunately, sometimes the Libertarian and Green parties (and their ideologues) are more committed to maintaining the integrity of the party ‘brand’ then in taking pragmatic/strategic actions that will lead to the best long-term consequences. It seems we will need a grassroots direct democracy movement to break through the logjam. Open-source technology–specifically liquid democracy technology–will be a key element in such a movement. Democracy as we know it is awkward and cumbersome–but with the help of technology we can streamline this awkwardness and return to the days where individuals and communities are empowered to determine thier own destinies. The combination of near universal literacy and the continued belief in the sovereignity of the people in Western democracies are key assets we possess in efforts to undo the trend towards all power being concentrated in the hands of the banker/corporate class. Ultimately, I believe we will need to reform the way things are owned and possessed in order to give ordinary citizens more of a say in the decisions that effect their lives. Technology will play a major role in this transformation. In this respect, the key change we need is the transfer of political and economic power from the hands of the corporate/banking class to the hands of ordinary people. However, much of the Libertarian Party remains wedded to the ideology that there is nothing wrong with massive concentrations of wealth and capital in the hands of a few individuals. So there are serious ideological barriers in the way of converting the LP to a populist, anti-bankster organization. I have a law degree, I’m finishing up my dissertation for my Ph.D. in economics, I read extensively on economic and political theory, I regularly attend libertarian and economic conferences hearing from policy experts, and I regularly discuss economic and political ideas with friends, students, professors, and policy wonks. You’re being dismissive of an ideology that is has been hashed out for decades. And you will get 1 vote (assuming you vote for yourself) at the Libertarian National Convention because you’ll be in a room full of people that think critically, are informed about these issues, and find your complete dismissal of our ideology while you expect our support incredibly offensive and obnoxious. We agree on one thing: it is an ideology. Perhaps one day you will have some idea about the countervailing possibilities — little things like holistic analytics, true cost economics, and open source everything engineering…some of us call it Applied Collective Intelligence. I don’t know why libertarians would want to assist violent people that seek a violent goverment to sieze the property of the successful people they envy. Electoral Reform is a non-violent alternative to violent revolution, and could be attracting the support of the Black Sheep Billionaires and those now deeply considering Inclusive Capitalism and Redemptive Capitalism and well as Conscious Capitalism. Me, I just want all true costs on the table and let the people decide. To get there, we have to have an honest government that does not lie about everything. Mr Steele, for how long have you been a member of our national party? Off and on since the mid-1990’s. Most recently this year. And I hope it is clear I am NOT running to advance the Libertarian agenda myself, but to open the way for many more Libertarians to be elected to Congress in 2016. Judging by the reactions in these pages, there is little interest in such a radical idea — but judging by those who follow me on the Alex Jones Show and elsewhere, the commentaries at this location are not fully representative of the totality of the Libertarian population. Restoring integrity to our electoral process and our government is what I care about. I leave it to all of you to hash out how that honest government makes policy thereafter. I would liken Steele’s effort to gain the Libertarian nomination to an unapologetic drunk seeking the Prohibition nomination. Good luck with that! Chuckling. Never expected to get far, only to start a conversation. I would have been happier with more attention to the substance of what I have been proposing, but it is what it is. Let’s see what happens when we reach a broader audience. 1. Do you plan on accepting Bitcoin donations for your campaign? 2. Would you consider hosting an AMA (Ask Me Anything) thread on Reddit? I think you’ll find an audience there which is bit more diverse and willing to explore your ideas before dismissing them. 3. Will you be looking for volunteers at any point in the near future? Yes, let’s see just how many Libertarians “demand” government funding for “qualified” candidates” as well as government dictats on broadcast media. Robert, how would voting for you as our candidate bring about those 8 demands? What a joke! Just another huckster looking to use the LP’s ballot access to promote obviously non-libertarian goals. Then again, when the LP whores itself out by nominating people like Jim “cops are our friends” Gray or Wayne “Reagan libertarian” Root, what else can you expect? Robert Milnes has recently revised his idea about an alliance between Libertarians and Greens to also include National Socialists. This is called the PLAN-SS or Progressive-Libertarian Alliance with National Socialists Strategy. How do you feel about including National Socialists in your proposed Green-Libertarian alliance? The Libertarian National Socialist Green Party is not known to be currently active. But if they do endorse or nominate a candidate, would you like that candidate to be you? The thing is, coalitions between Libertarians, Greens, Constitutionists, independents, etc. already exist. Free & Equal and COFOE come to mind. I strongly doubt the various parties will ever truly present a united front, but it’s a nice thought. Good luck, Robert! Robert, you state that you’re running for the LP nomination in 2016, but that this “fusion” idea you’re proposing is to take place in 2015. How does this work? Milnes and Ogle are much better writers than this guy! I also think anyone who asserts that the Greens or Libertarians will win the presidential election in 2016, or win a significant number of seats in the federal legislature, should be disqualified from candidacy by reason of insanity. So, in some order, the candidate is proposing to wreck my state party’s ballot access, make it effectively illegal for new parties to start, and use some unspecified (il)legal power to seize ad space in my local privately-owned newspaper and use it for political ads without even paying. Also, the candidate claims that he is a Libertarian. Public funding of campaigns and restricting election-related speech in the name of “campaign finance reform” is also something opposed by the Libertarian platform, and always has been. We’ve seen repeatedly that public funding harms much more than helps third-parties and independents, even aside from the principle of the matter, and the idea that the Rs and Ds would ever pass a scheme requiring them to operate with the same level of funding as third-party candidates is ludicrous. No. The only candidates getting my money should be the ones I want to give it to (if any at all). We have a scam in Arizona called Clean Elections and I want it to do away. I have faith that the Libertarian Party convention delegates will read “Open Power: A Notional Coalition Team to Force Electoral Reform in 2015 and Run for Reform in 2016” and make the correct decision about who our party’s nominee should be. Secretary General for Global Engagement will be the primary US Presidential-level participant in all Presidential-level encounters. For all practical purposes, a few situations not-withstanding, Michael Bloomberg will BE the President of the United States of America beyond the water’s edge. Voting will become mandatory in stages over four years, as part of the Electoral Reform program. Education will make voting a much-desired and appreciated attribute of engaged citizenship. This will only be effective if all eleven electoral reforms remain in place. 4. The Open Source Agency OSA) will empower all eight tribes of intelligence, will be firmly rooted in “true cost” investigations of every product and service, and will have as its objective the use of intelligence to eradicate the ten high-level threats to humanity by harmonizing spending by all across the twelve core policy domains. 5. The OSA will be the parent but not the controller of the Multinational Decision Support Centre and the global network of regional and national intelligence and call centers. The Strategy Center and the Multinational Decision Support Centre will be co-located with the Open Source Center. The World Brain Institute and the School of Future-Oriented Hybrid Governance will be fully-funded arms of the OSA. It’s clear that Mr. Steele is offering a platform unlike any other seeking our party’s nomination. Claiming a highly unique market niche is essential in standing out from the herd of competitors. Well heck, Joy Waymire did that just by popping her teeth out. Aint it curious that Tropical Storm Bill (Saturn?) made landfall right at William Saturn’s house? Just like Hurricane Sandy (Hook?) made landfall right where Robert Milnes parked his RV? Is the government creating tropical storms to silence dissent? Did someone tip off William Saturn, forcing him to go on “hiatus”? We demand answers. Someone needs to investigate the government’s creation of tropical storms/Hurricanes. Ain’t it also curious that as soon as the Tropical Storm disappears Saturn, a CIA agent shows up at IPR claiming to be the new PLAS candidate? The above is incorrect. The tropical storm did not make landfall at my house. It was further east near Seadrift. I just got a little rain from the storm. I did not “disappear.” I am the same place I’ve always been but just am not commenting here or on my blog as often. It has nothing to do with the storm or Steele’s candidacy. Additionally, as I have said many times before, I am NOT a PLAS supporter and never have been. Btw, here is the Wikinews debate Steele took part in for the Reform Party nomination. I’m guessing “Tropical Storm” was another Nathan Norman troll character that we did not catch at the time. Robert is attempting to champion the concept that all third parties can either wallow separately in their own ideals, or they can come together to have enough momentum to crack the two-party system. Please look at the political systems of other countries as an example. Those countries may have a major political party in charge, but peppered within the legislative body are representatives from other parties. That is the point Mr. Steele is getting at. Then there becomes a true dialogue where multiple perspectives may be considered concerning a proposed bill. He is thinking ahead; in the future, a third party candidate may win the presidency. The term I believe he is looking for is SYNERGY. Harry Potter: Thanks. Seems you’re about the only ones that do. Luna Lovegood: I don’t think that’s true. But I suppose that’s how he wants you to feel. Luna Lovegood: Well if I were You-Know-Who, I’d want you to feel cut off from everyone else. Because if it’s just you alone you’re not as much of a threat. Which is why I propose voting for alternative candidates, even ones you disagree with, to break up the duopoly. When there are five or more parties represented in Congress, only then will I consider voting for Republicans and Democrats.